Additional research by Paul Branch and Elizabeth H. Conner. See also: History of the North Carolina State Park System (NC Division of Parks and Recreation); Mount Mitchell; New River; Weymouth Woods Sandhills Nature Preserve. The North Carolina State Parks System began in 1915, when Mount Mitchell, the highest mountain peak east of the Mississippi River, was bought by the state to save it from destructive lumbering practices. This purchase was followed in 1924 by the acquisition of the Fort Macon Military Reservation. In the late 1920s and 1930s, a number of other areas were acquired as well. As there was no specific agency to administer them, they were placed under the State Division of Forestry until 1935, when a Branch of State Parks was created within the Division of Forestry. Between the years 1934 to 1941, North Carolina's early parks experienced a period of rapid development through Depression-era New Deal programs such as the Civilian Conservation Corps and the Works Progress Administration. Following the end of World War II, high public demand for recreation facilities spurred continued growth of the state parks system and the expansion of the Branch of State Parks into a separate Division of State Parks in 1948. Since 1969, the state parks system has mushroomed in size thanks to the easing of former legislative restrictions on acquiring land for new state parks. At the beginning of the twenty-first century, the North Carolina State Parks System, under the administration of the Division of Parks and Recreation, oversaw 50 units contained within three categories: state parks, state recreation areas, and state natural areas. These units contain more than 135,000 acres of land stretching from the mountains to the sea. 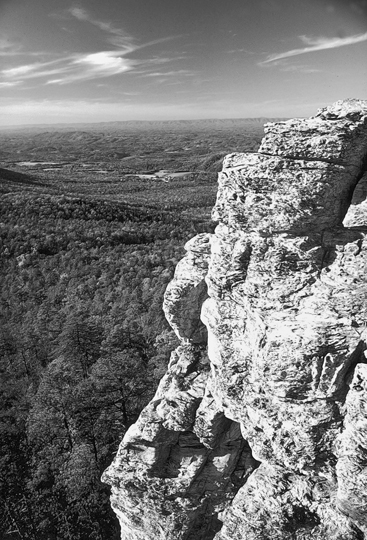 The system is administered to serve the citizens of North Carolina and their guests by protecting and preserving scenic and natural areas of statewide importance, providing many unique opportunities for recreation as well as scientific and cultural research. North Carolina's state parks and their years of acquisition are Mount Mitchell (1915); Fort Macon (1924); Morrow Mountain (1935); Hanging Rock (1936); Jones Lake, Singletary Lake, and Pettigrew (1939); William B. Umstead (1943); Cliffs of the Neuse (1945); Hammocks Beach (1961); Lake Norman (1962); Pilot Mountain (1968); Carolina Beach (1969); Stone Mountain (1969); Raven Rock (1970); Crowder's Mountain, Eno River, Medoc Mountain, and Merchant's Millpond (1973); Goose Creek (1974); Jockey's Ridge (1975); South Mountains (1975); Lake Waccamaw (1976); New River (1977); Lake James (1987); Lumber River (1989); and Gorges (1999). The four State Recreation Areas are Kerr Lake (1951), Jordan Lake (1982), Falls Lake (1983), and Fort Fisher (1986). In 2002 the North Carolina Division of Parks and Recreation began a long-range planning initiative called New Parks for a New Century, which by 2006 had identified 44 sites across the state as potential new recreation areas, natural areas, and parks. The New River State Park in Ashe County was begun after a protest of a proposed power dam on the New River, which flows north from the northwestern North Carolina Blue Ridge Mountains. It is likely the oldest river in North America and is thought to have been named by Peter Jefferson, Thomas Jefferson's father, when he surveyed the North Carolina-Virginia border in 1749. The General Assembly voted in 1975 to name 26.5 miles of the New River a State Scenic River, the same portion becoming part of the national Wild and Scenic River System in August 1976. North Carolina then created the state park, which includes the 26.5 miles of the New River, declared in 1998 an American Heritage River. The first state natural area, Weymouth Woods Sandhills Nature Preserve, was donated to the state in 1963. The third, the Theodore Roosevelt State Natural Area, was donated by Roosevelt's heirs in 1971. Unlike those of a state park, the long-term management objectives of a state natural area may include little or no public facilities and very limited public access. A few of the state natural areas are open to the public and staffed; some are managed as satellites of staffed state park units, while others are managed by other conservation agencies under leases or special agreements. The North Carolina state natural areas, with years of acquisition, are Weymouth Woods (1963); Bushy Lake (1970); Theodore Roosevelt (1971); Dismal Swamp and Chowan Swamp (1974); Masonboro Island (1976); Hemlock Bluffs and Mitchells Mill (1976); Bald Head Island (1979); Mount Jefferson (originally a state park, converted to a natural area in 1993); Run Hill (1995); Occoneechee Mountain (1997); Beech Creek Bog (2001); Elk Knob (2001); and Lower Haw River (2003). In 1976 the Natural Heritage Program was created within the Division of Parks and Recreation. The purpose of this program was to create a statewide inventory of natural diversity and rare species and to make recommendations for the protection of outstanding areas and rare species habitats. To encourage the protection of important natural areas, the program also developed a State Registry of Natural Heritage Areas. Owners of natural areas may register a site by entering into voluntary agreements with the state to protect and manage the natural area for its natural heritage values. The registry provides a vehicle for program staff to inform landowners about the special ecological values on their property and provides recognition for those landowners who agree to protect those values. There are now 357 sites totaling 598,764 acres on the Registry of Natural Heritage Areas, including both public and privately owned lands. Other state land preservation efforts include the Wildlife Game Lands program, which encompasses 333,000 acres and is managed by the North Carolina Wildlife Resources Commission; Educational State Forests, of which there are six; and the North Carolina Coastal Reserve, which includes a total of eight sites, four of which are within the federal National Estuarine Research Reserve. This article is from 2006 and some information may not be current. For updated information about N. C. State Parks, please visit the N. C. Division of Parks and Recreation at: https://www.ncparks.gov/. Association of Southeastern State Parks Directors, Histories of Southeastern State Parks Systems (1977). 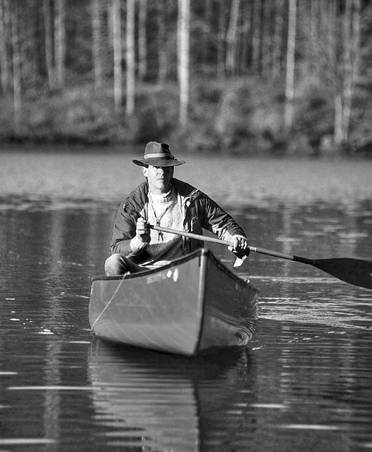 Walter C. Biggs Jr. and James F. Parnell, State Parks of North Carolina (1989). North Carolina Division of Parks and Recreation, System-wide Plan for the North Carolina State Parks System (2000). Thomas J. Schoenbaum, The New River Controversy (1979). 1 January 2006 | Branch, Paul; Conner, Elizabeth H.; Diem, Gordon Neal; Tingley, Carol A.